When I bought my iPhone last year I also bought a simple pouch-type leather case to go with it. I’m generally careful with gadgets so I didn’t bother with any sort of screen protector – after all, the screen is made of tough glass, right? I never put my iPhone in my pocket with keys or anything like that. 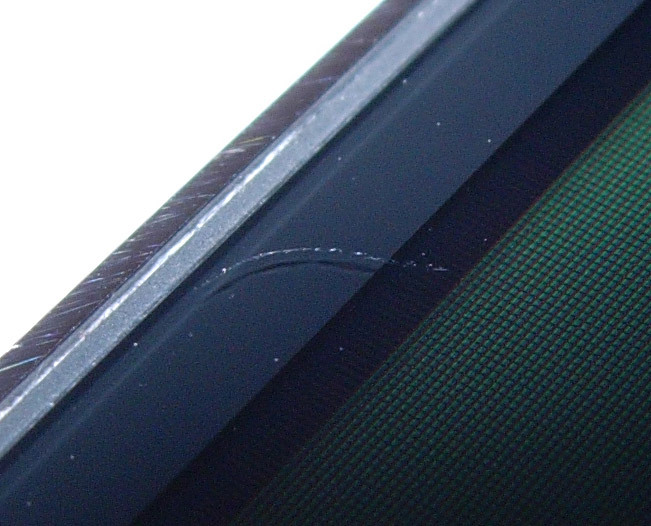 Luckily the scratch is only on the edge of the screen, and it’s not that big, but it’s pretty deep and noticeable (especially in sunlight) and just impinges on the first few pixels on the left side of the display. I knew that the iPhone hadn’t had any rough treatment, or been dropped. It’s still a mystery to this day. I can only think that a grain of sand or something got stuck between the screen and the pouch case. Whatever – if you think the iPhone’s screen is unscratchable let this be a warning! It isn’t – it can get scratched easily, even if you look after your phone. It would prevent the screen getting scratched any further. 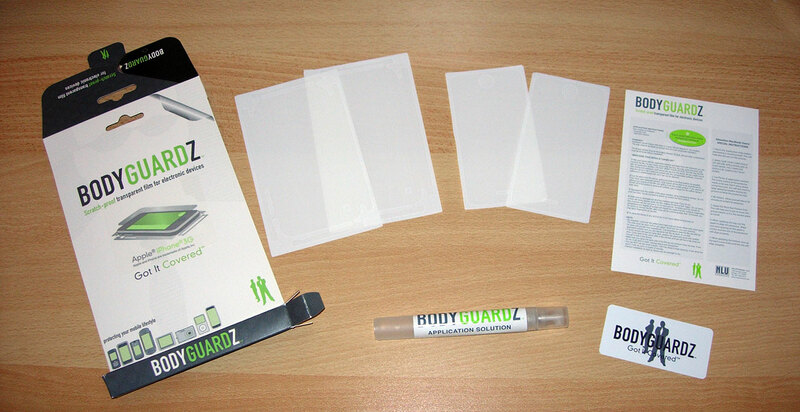 After reading various reviews, the two front runners seem to be the ZAGG InvisibleSHIELD and the BodyGuardz. 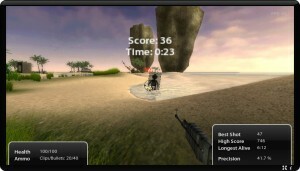 With its crystal-clear screen and touch-screen interface, the iPhone (and iPod touch) can serve as a very capable ebook reader. In fact some say it’s currently the most popular ebook reader device out there. 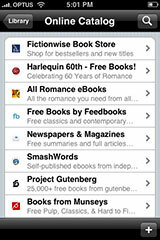 This post compares 4 free iPhone ebook readers: Stanza, eReader, dBelement Reader, and Clickwheel Comic Reader. Lexcycle’s Stanza lets you read DRM-free ebooks and other documents in a variety of formats, including eReader, Open eBook, Kindle, PalmDoc, HTML, PDF, and plain text. You can also purchase commercial ebooks from the Fictionwise book store right from within the app. In addition, Stanza provides access to a wide variety of paid and free ebook archives, such as Feedbooks, SmashWords, Project Gutenberg and various newspaper and magazine feeds. You can also use the Stanza desktop app to convert various ebook formats so they work on the iPhone app. The app allows you to share opened ebooks with the iPhone via wi-fi, which means you can load any existing ebooks you own onto the iPhone. You are currently browsing the Reality Distortion: Macs, Mac OS X, and Apple stuff weblog archives for February, 2009.